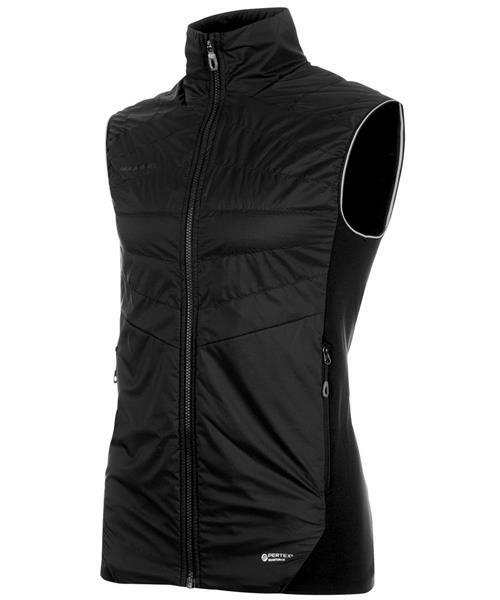 Keeps you warm on your next mountain tour: the Aenergy IN Vest Men banks on very breathable Polartec® Alpha® direct insulation material combined with vapor-permeable, wind- and water-repellent Pertex® Quantum Air outer material on areas exposed to wind and cold. You are insulated against the cold. This is complemented by fast-drying, stretch fleece material sections. Wind and weather will no longer be able to touch you.